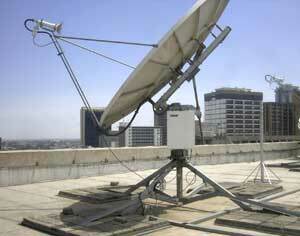 Site survey, install, commissioning and maintenance of VSATs in Ethiopia and other African countries. 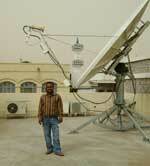 This is a VSAT Ground Support and consultancy services based in Ethiopia (Addis Ababa) and covering the region. 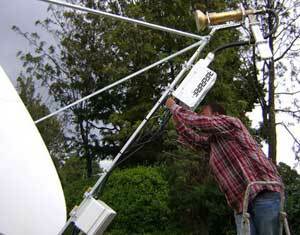 Site survey for VSAT varies sizes , with RFI kit, Spectrum analyzer and all necessary tools. 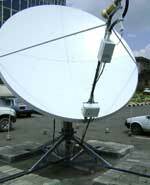 Installation and commissioning both for NPM and penetrating Mount- VSAT varies sizes. Field maintenance and Preventive maintenance for the above services. I am fully equipped with all necessary test and measuring equipments. Used representing MCI (US telecom) for 5 years for Eastern Africa region. Worked on the Viasat, Hughes and iDirect IDU equipments, Cisco routers etc. Trained on Linkway in USA. If you have any queries; please do not hesitate to contact him. 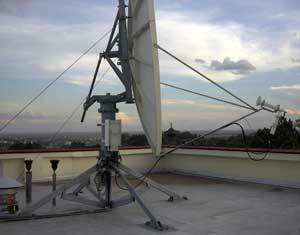 C band VSAT installation in Addis Ababa, Ethiopia. Text and images on this page kindly provided by Bruk Getachew. This page is for information only and is not a paid-for advertisement.